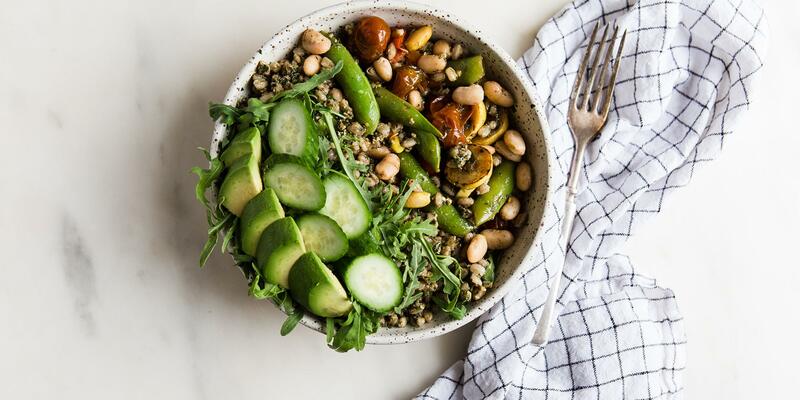 Snap peas add crunch to this hearty vegetarian lunch. 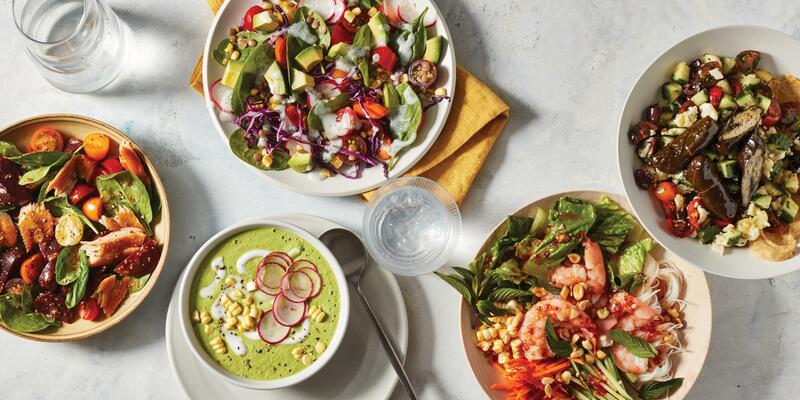 "I love this dish with a grain like farro, whole-wheat pasta, beans for plant-based protein, or zucchini noodles," says Katzie Guy-Hamilton, chef and director of food and beverage at Equinox. Try this simple recipe as part of meal prep or for a fast summer meal. This recipe is part of our meal prep series for July. Click herefor all the details. Store farro in a shallow container in the freezer. Place pesto in a small side container in fridge. Store ¼ avocado (uncut) in a small container in the fridge. In a large skillet on medium heat, cook oregano oil, fresh rosemary, and cherry tomatoes until they begin to scald and blister, around 3 minutes. Add zucchini and snap peas and quickly sauté until golden, adding a pinch of salt and pepper. Add beans and remove from heat to cool. Place cucumber (whole) and arugula in a container. Store in fridge and slice the cucumber fresh day of. 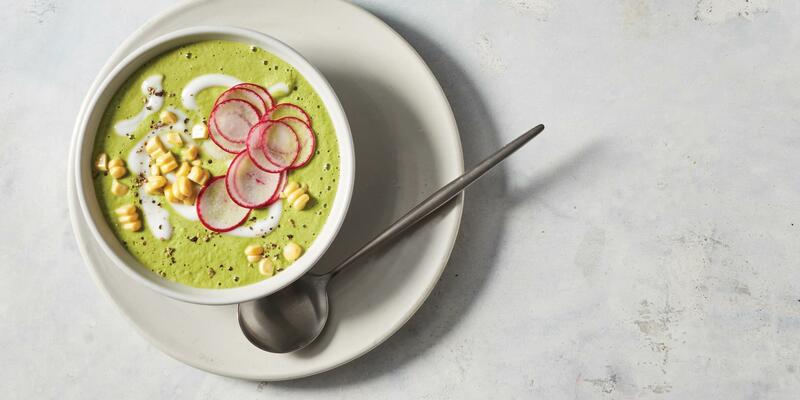 Top grains with pesto and toss to combine. Add tomato and veggie mixture. 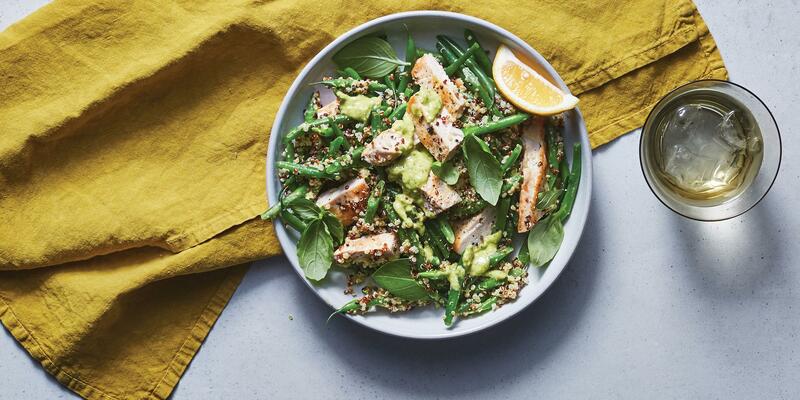 Season with lemon slices and walnuts from your condiment kit and plate with the simple side salad and avocado.